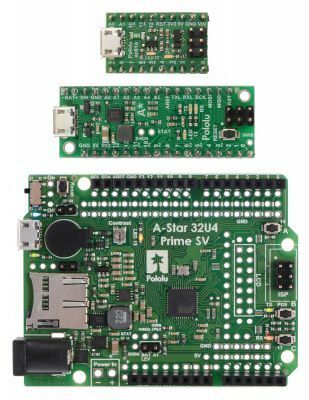 A-Star 32u4 Micro is a very small, programmable, useful and multi purpose developer board holding Atmega32u4 microcontroller on it. 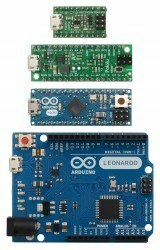 It is fully compatible with Arduino. Sizes of this little board are 2.5 cm x 1.5 cm. 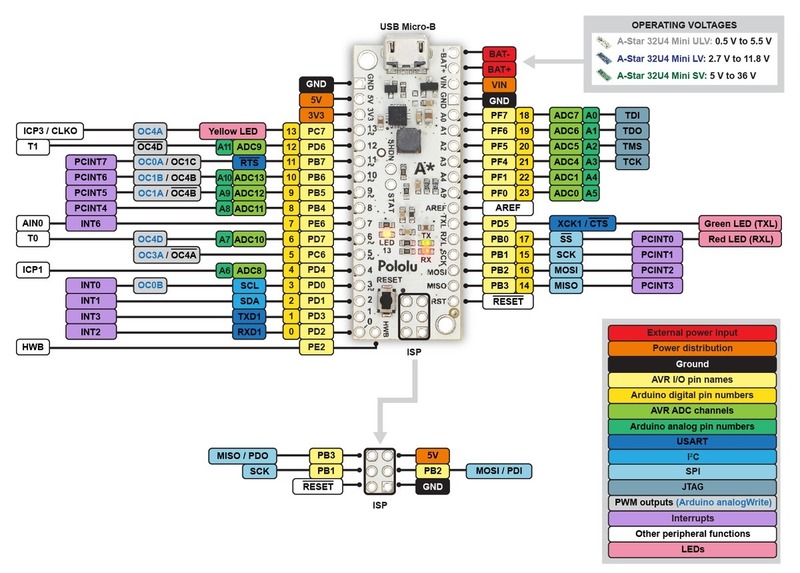 There are totally 18 I/O pins on the board (7 of them as PWM, 8 of them as Analog input). 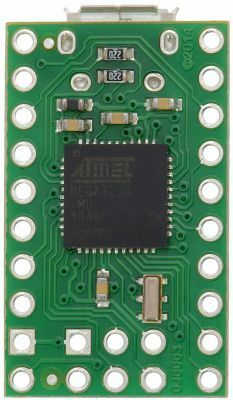 Atmega32u4 supports usb port internally, so it is possible to connect the board directly to the computer and by the pre-loaded you may use Arduino IDE easily. Pololu - made these A-Star boards based on Atmege32u4 microcontroller. Atmega32u4 supports internal 32 kB flash memory, 2.5 kB SRAM and inter lan usb interface. 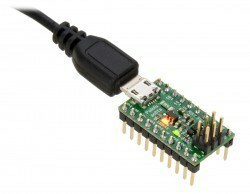 There is a micro usb connector on the board for computer connection but the kit does not include usb cable. Moreover, there are ISP pins, LEDs and a crystal oscillator on the board. 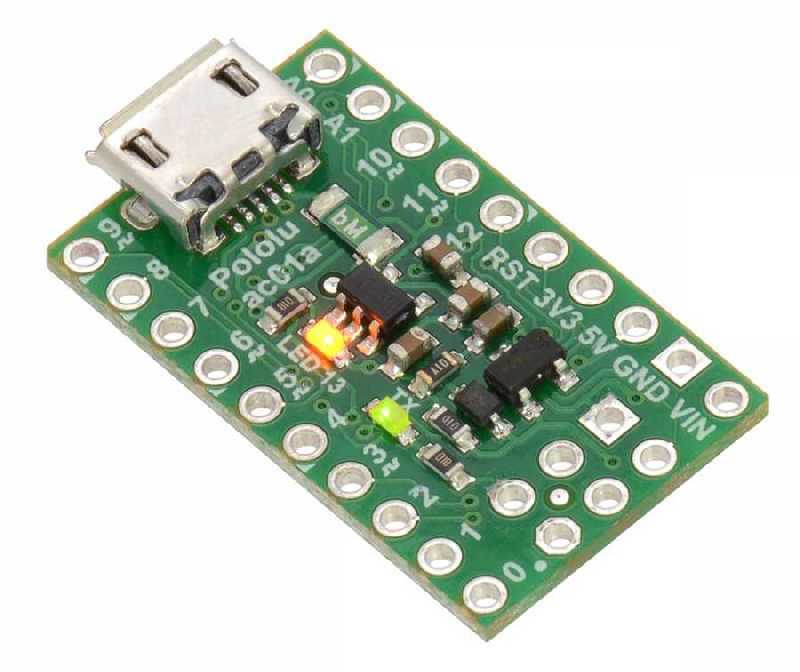 The board is supplied by usb connector or an external 5.5 - 15 V voltage supply. There is an internal voltage regulator on the board, consequently, it is possible to supply the board with 5.5 - 15 V input voltage. There are 26 I/O pins on A-Star 32u4 Micro, 15 of them are placed at sides. 3 of them are on the ISP socket. 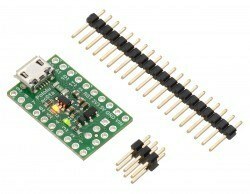 7 of these pins can be configured as PWM out, 8 of them can be configered as analog input. 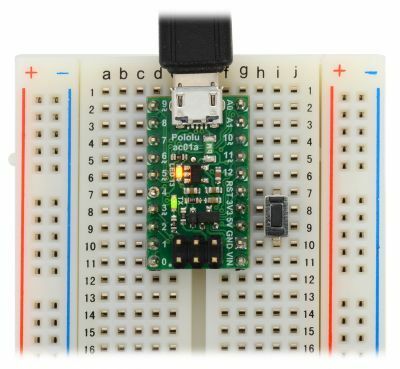 This board is compatible to use on bread board. It occupies a place as 20-pin DIP IC. 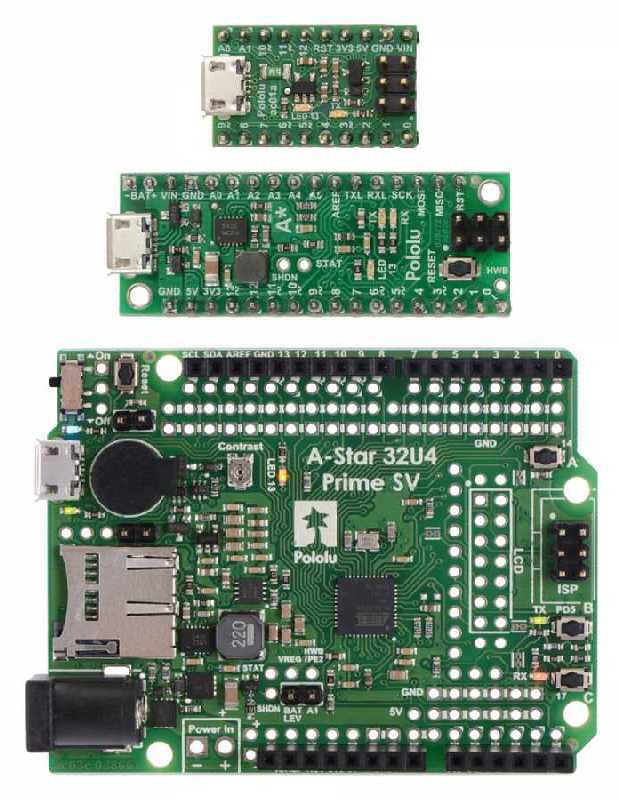 User Guide contains detailed information about A-Star Mini LV and the other A-Star boards. 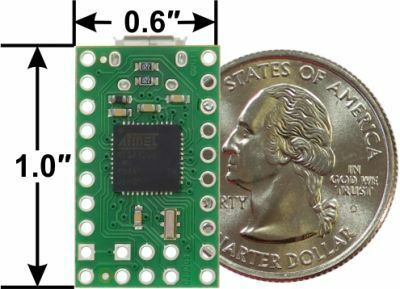 Note: The kit does not include Micro Usb cable. Vin pins are used for 5.5 V - 15 V input. Output current of the onboard regulator is 100 mA. 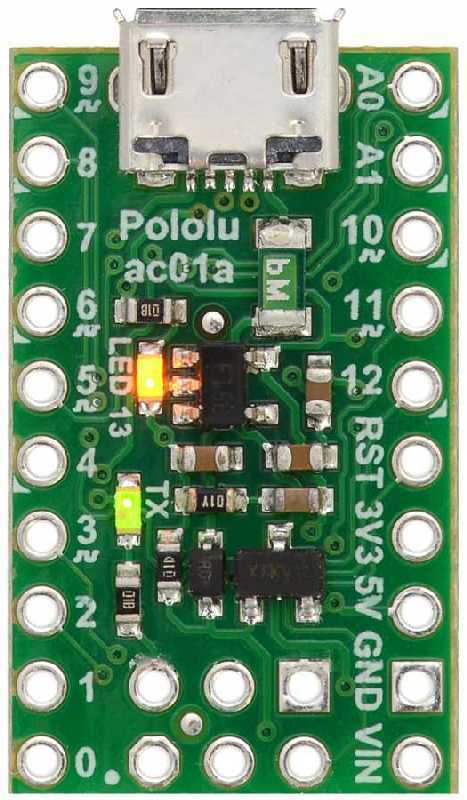 There is also a 3.3 V regulator with 50 mA output current on the board too. Note: The headers on the board comes as unsoldered.